Sometimes in life a curve ball is thrown your way and you either have to adjust or meet it head on or stand your ground. Now by no means do I think I am smart or educated in any way, but I do open my mind to studying various aspects in order to be knowledgeable about many things. One of those things I focus on the most is studying the Bible and history and science. I have learned so much since my conversion. One thing I have noticed though, is that a lot of times in the church it is the simple people who are most faithful and knowledgeable in the Word of God. I was sitting in my chair listening to a pastor from the city talking about how he baptizes anyone who asks him. His reply was always “Yes, no matter the circumstance.” He went on to proudly say “I never teach them the Bible before or after baptism—that’s their responsibility to learn. “I just baptize them” he said. Then he went on to exclaim how he has the fastest growing church in the city and that one day he baptized five family members in one day—one after the other. When one got baptized he/she told someone what happened and they said they want to as well so they went to the pastor and he took care of them. And everyone at camp including officials clapped and shouted “A-men.“ Back to the Sabbath School class. Our discussion in Sabbath school was about certain people who seemed to be baptized too quickly. Evidence for this seems to be that they had a prior knowledge and a belief in God already, they just needed to be informed about Jesus and his sacrifice and resurrection. Hence the stories of the jailer who was guarding Paul, or the Ethiopian who Philip baptized in Acts 8. This man—who was a Physicist (supposedly a very smart person)—claimed that these stories are perfect evidence that people do not need to be taught anything prior to baptism, and that the pastor in the story was correct in what he did. He also suggested that my ideas that teaching people first are not only not biblical, but not necessary. He believed that it’s ok for a church to grow this way, and that the Bible even says in the Great Commission of Matt 28 that we must baptize first before teaching. So being the teacher I am, I said “That’s great, why don’t we turn to the Bible and see if that is what Jesus is teaching because I for one do not want to teach contrary to the Bible.” He hesitated at this and tried to change the subject. So I asked my class to look up Matthew and we all read the Great Commission, which is Matthew 28:19, 20. After I read this the Physicist exclaimed very strongly that I’m twisting Scripture and reading it wrong because the Bible says baptize first before teaching because verse 20 comes after verse 19. I mentioned to him that in verse 19 “teach” comes before baptizing and vs. 20 is explaining to us what we should be teaching before baptizing. He did not agree and continued to argue. There was a look of confusion in the crowd as we all looked at each other in amazement. So I moved on to a different part of the lesson because I saw nothing good would come out of arguing with this gentleman. I then remembered one of my favorite verses “Answer not a fool according to his folly, lest thou also be like unto him” (Proverbs 26:4). I let the topic drop. I guess it’s true what some people say “You cannot grow common sense in a lab.” Each of us need wisdom, myself included. And wisdom comes from God. Perhaps this is why—in our churches—it seem to be the most ‘educated’ ones who are bringing in so much confusion and false teachings. Maybe this is why Jesus chose the simple fisherman who could learn from Him rather than try and teach Jesus. There is a difference between wisdom and education. 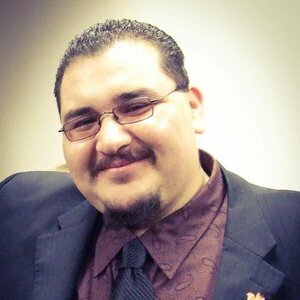 Ray Chavez is an AFCOE grad and a former bible worker and is currently volunteering in his home town in Albuquerque NM as a guest speaker and a bible worker. He is happily married to Jessica and they currently have one awesome daughter.